The campus diversity racket is a miracle of physics; It has somehow found a way to flout the first law of thermodynamics, in effect functioning as a perpetual motion device that sustains itself with a limitless supply of self-informing energy. This miracle was on display at Yale University this week, where the school announced that it will be expanding its diversity bureaucracy by adding new staff members and implementing new policies. 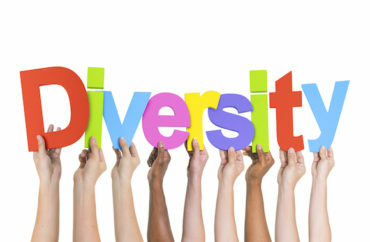 There is nothing so relentlessly inertial as the campus diversity machine: Have you ever known a diversity office to shrink? They only grow larger, always expanding their mandate, always claiming that a new vice director and a new set of mandatory workshops are wholly necessary to carry out their ends. Redundancy matters little in these cases. Yale, for instance, will be hiring “a new deputy secretary who will work with members of the University Cabinet to implement diversity and equity initiatives across Yale’s different schools and units,” as if the school likely doesn’t already have three or four people already doing this job. These departments and initiatives generally sustain themselves on an arguable falsehood: They usually justify their existence by claiming that their campuses are in desperate need of racial reconciliation, mediation, intensive progressive seminars and relentless oversight of LGBT pronoun usage. But this is all pretty much untrue. Most college campuses are paragons of tolerance, equity and acceptance; the rare bad apples duly noted, there is little in American higher education to justify these sorts of major investments. That doesn’t stop them from growing ever-larger, of course. In all likelihood, Yale, like many other schools, will commission another upgrade of its diversity offices in another year or two…and then a year after that, on and on. These offices never actually seem to solve any of the systemic problems they’re after, though they do seem to provide some fairly generous salaries for the people employed in them; those salaries, one imagines, also expand greatly over time.